A-Pro the Best Home Inspectors in Pittsburgh PA – A-Pro the Best Home Inspectors in Pittsburgh, PA provides 120-day Guarantee in home inspections in Pittsburgh and surrounding areas. Home Inspection Pittsburgh is Licensed, Insured and Bonded. Satisfaction guaranteed. In the Steel City – the City of Champions – you deserve a Pittsburgh home inspection company committed to excellence. Make A-Pro your winning home inspection team in Pittsburgh, whether you’re a seller or a buyer who wants to make a wise decision on your purchase. Licensed, certified and experienced, A-Pro Home Inspection Pittsburgh delivers on our promise to provide our neighbors with the most comprehensive home inspections in the Greater Pittsburgh area. Hello! As a board certified A-Pro Pittsburgh home inspector, I look forward to providing you with friendly, professional home inspections throughout the Greater Pittsburgh area. I take great pride in making sure my clients are fully informed about their home purchases. Be sure to ask me questions during your inspection. I want you to know about the home from top to bottom! I am fully licensed by the State of Pennsylvania and hold several advanced certifications: CHI®, PHI®, ISHI®, ASHI®, NACHI® and ITI®. These certifications are your guarantee that you’ve chosen a Pittsburgh home inspector who meets the highest ethical standards of the profession. Watch a short video on a Pittsburgh home inspection. A-Pro Home Inspection Pittsburgh reports are fully detailed with photos, nicely bound, and promptly delivered. Have questions? I’m always available to help! 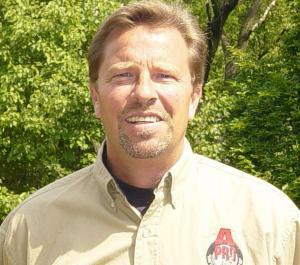 A-Pro has performed hundreds of thousands of home inspections nationally and locally since 1994. 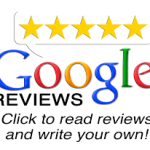 Call now and have A-Pro the Best Home inspectors in Pittsburgh PA to inspect it! When it comes to home inspections in the Steel City — A-Pro Home Inspections in Pittsburgh PA is ready to assist you with fast and friendly service. Call our inspectors now for fast, friendly and simply the Best Home Inspections in Pittsburgh PA service 1-724-590-0074!